Toilet tourism made headlines this week with the release of Lonely Planet’s ‘Toilets – A Spotter’s Guide’. A few New Zealand toilets made it into the book including four in our 13 Unusual Toilets in the North Island. Today we’re lifting the lid on some of the South Island’s more unusual loos, starting in Southland. 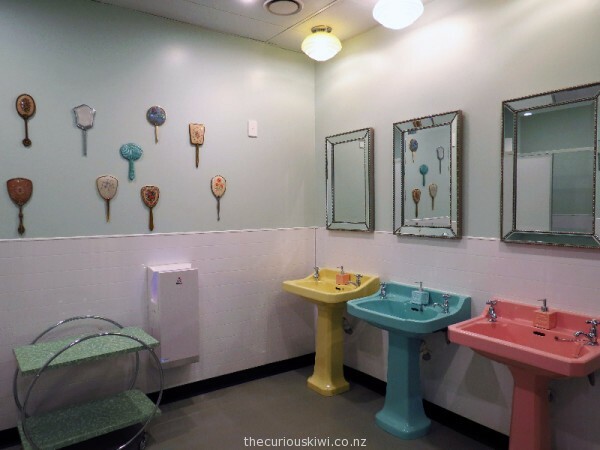 I didn’t expect to find unusually lovely ladies rooms in a truck museum, but that’s what I found at Bill Richardson Transport World in Invercargill. Toilets can be tourist attractions in New Zealand. 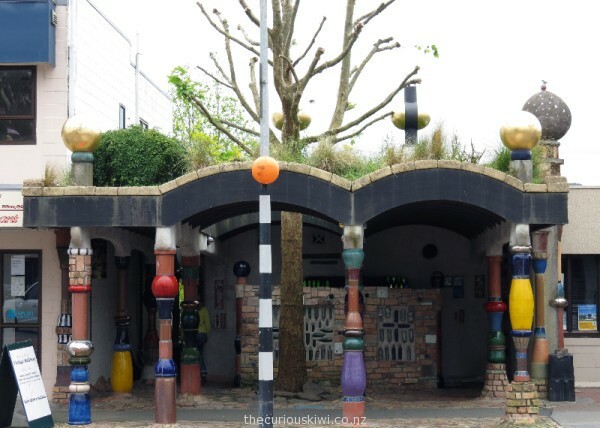 Every year thousands of vehicles detour to the small Northland town of Kawakawa to see the unusual public toilets designed by Austrian artist Friedensreich Regentag Dunkelbunt Hundertwasser (1928-2000). 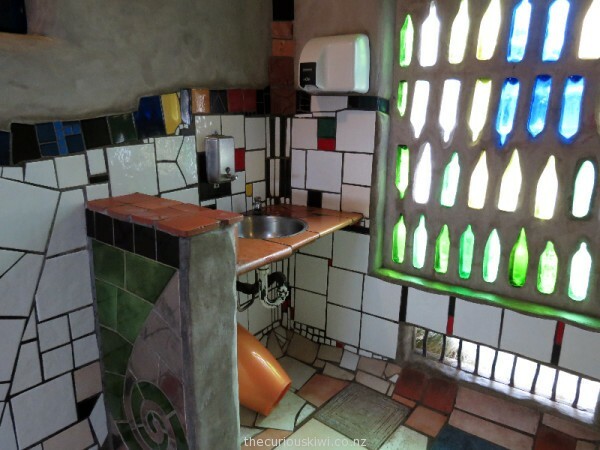 Built mostly with recycled materials, the toilets incorporate bricks, bottles, tiles and colourful pottery. The toilets are built around a living tree and have a roof top garden, reflecting Hundertwasser’s environmentally considerate approach to architecture.